Okay, so you’ve got your photo booth business set up and ready to go, now you need to get the word out. Easier said than done right? Here’s LA Photo Party’s guide to how to market your photo booth business like a boss. In today’s digital world, your website is your storefront, your business card, and your first – and most important – impression to any potential clients. A professional site that explains what services you offer, images of your photo booths, and your unique value are incredibly important. Fortunately, for those not tech-savvy there are many free or low-cost website templates available, which allow you to build your site by yourself and get the word out about your brand. 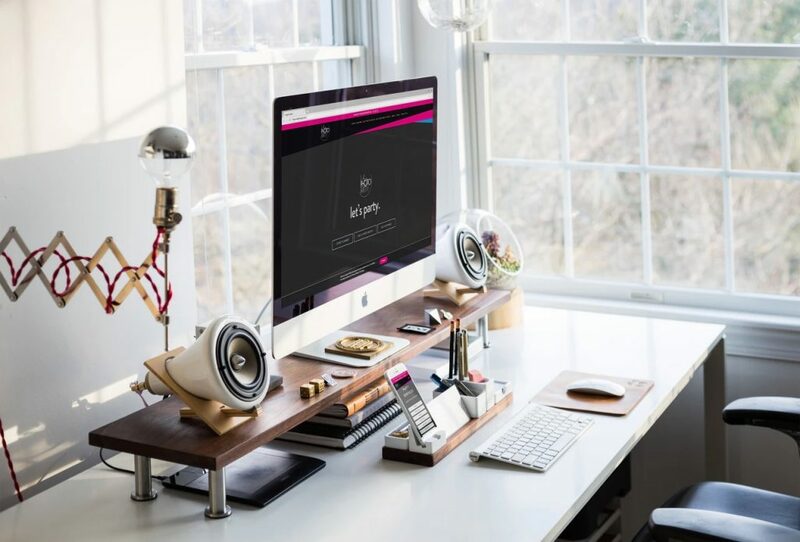 If you can use a PC or a Mac, then you have all the skills necessary to learn how to build a website using low-cost website hosts, such as Squarespace, Wix, Yola, and Weebly. Or, if you’re lucky enough that your budget allows it, you can hire a professional website developer, who can craft your company’s site for you. Okay, first things first: what exactly is a “value proposition?” To put it simply, a value proposition is a summary by your business as to why a customer should use your photo booth services. Value propositions are essentially a promise to the customer that the services you offer will provide more bang for their buck or better solve the problems that they are facing. Value propositions are a critical aspect of any business marketing campaign because they are your first – and best – chance to convince someone that your services are superior. A strong, clear and concise value proposition grabs the attention of the customer, and ideally, it inspires them to pick you over your competitor. An impactful value proposition should be clear, concise and unique. Tell your potential customers exactly what you offer and why you are the right option for their business. Avoid over-hyping, because while jargon and superlatives may seem like a great way to stand out, but they only get in the way of your brand’s message. Local marketing is an increasingly vital form of marketing for online businesses. This is especially true in the era of mobile devices and smartphones. According to data from Econsultancy, 80 percent of consumers use smartphones to look up information on local businesses, while roughly 66 percent take direct action as a result of mobile searches, and a third of them take it a step further and go on to make a purchase or book services through their smartphones. When creating a website for your photo booth business, one of the most critical steps you can take is to ensure that your site is easily viewed on both traditional computer-based websites, as well as on mobile-based devices – including both Apple and Android phones or tablets. Once you optimize your site for all visitors, no matter the operating system or device, you should consider listing your photo booth business on Google My Business. Google My Business is an excellent resource, providing online customers with the ability to search for photo booth rental companies, find your booth rental business using Google Maps, and learn more about your rental business – including the areas you cover, your hours of operation, the services that make you unique, and so much more! One of the best ways to effectively market your online photo booth business is through content. Compelling content, which is crafted using SEO best practices has the double-edged effect of enticing new eyes to your business and keeps them coming back. SEO, or search engine optimization, refers to the tools online marketers use to make contact much more visible to search engines, like Google or Yahoo! One of the best ways to market your photo booth business is through crafting interesting and engaging blogs (like this one you’re reading), which are relevant to your prospective customers. Compelling content, however, has much more going for it than just optimizing your site for search engines. Blogging also helps position your brand and create a library of great content that is relevant to your audience. The benefit is that it can help make your site an expert in the field of photography services. And, as Forbes Online notes, “being an expert is not something you can merely title yourself as. If you want your customers to brand[DR1] you as an expert in your field, you need to earn it.” Creating content which covers all facets of your industry is an essential way to earn the distinction of an expert. Mentioning all the advertising options available to your photo booth business is next to impossible, so let’s touch on the most important ones. Before listing them all, note this truism: Don’t put all your eggs in one basket. Simply put, this means to avoid spending all of your advertising budget (be it monthly, quarterly or annually) on just one ad platform. It’s also important to realize that what works well in one particular market may not work in another. Because of this, before deciding where to place your magazine, paid search, or online directory ads, test your ads for a short duration (perhaps one to three months) to see how well they perform. Now that the basics are out of the way, for photo booth rental businesses, the best digital advertising options to consider are Google Ads (previously Google Adwords), and event rental directory sites such as Gigmasters, Gigsalad, and WeddingWire if you are targeting wedding events. Effective networking can be just as valuable as advertising. Networking may sound intimidating, but it’s an excellent way to meet people in industries which are like yours and foster relationships which are mutually beneficial. Wedding planners, for example, may be able to utilize your services for receptions. Building a strong relationship with a wedding planner can lead to them recommending you to clients. It’s essentially free advertising based upon personal recommendations. Even better, being endorsed by a fellow business makes your services seem superior to competitors, as it carries the weight of the individual offering the recommendation. Don’t know where to start? 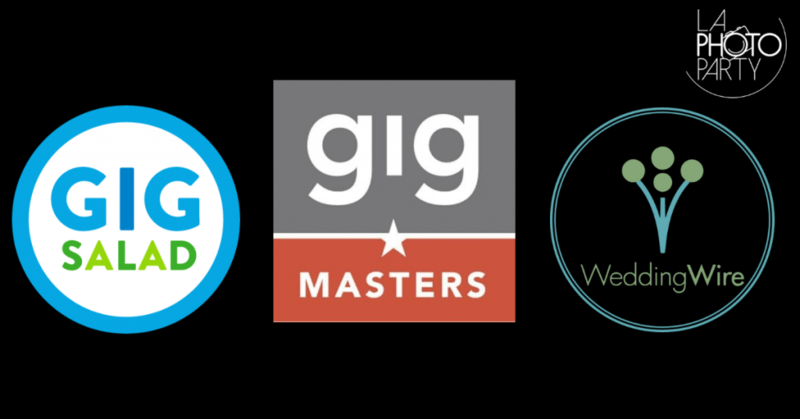 Try your local chamber of commerce, join a Facebook group for event planners, or look for event planners on sites like Meetup. 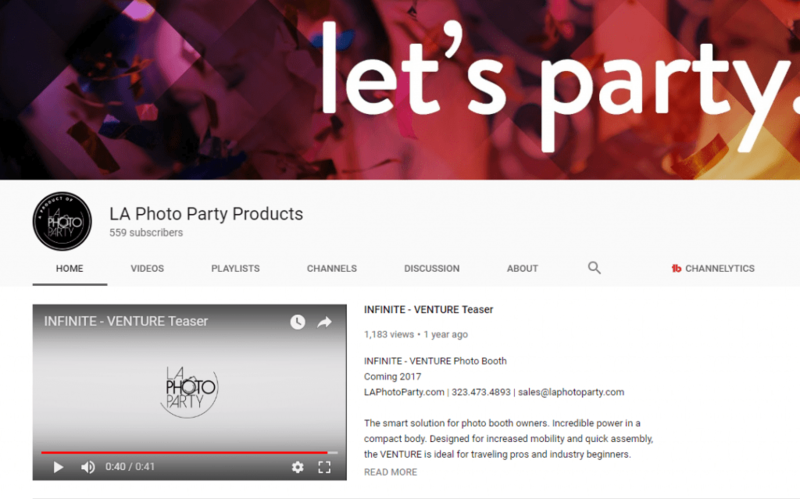 Now that you know how to market your photo booth business like a boss, check out some of our other services and add-ons at LA Photo Party to start generating more revenue today!